The Portland Winterhawks have signed three-year Canadian Sport School Hockey League student athlete Kurtis Smythe to a Western Hockey League Standard Player Agreement. Smythe, 16, has attended the Delta Hockey Academy the past three seasons, most recently with their Midget Prep team where he posted 13 points (4-9-13) in 33 games, along with adding one assist in four post-season games. The Cloverdale, B.C. product played for Delta’s Bantam Prep team during the 2016-17 season, racking up 17 points (2-15-17) in 30 games, after registering 14 points (2-12-14) in 24 games with their Bantam Varsity team the season prior. The 5-foot-11 defenceman was originally selected in the second round, 42nd overall, by the Saskatoon Blades at the 2017 WHL Bantam Draft. The Winterhawks acquired him in a trade last month. 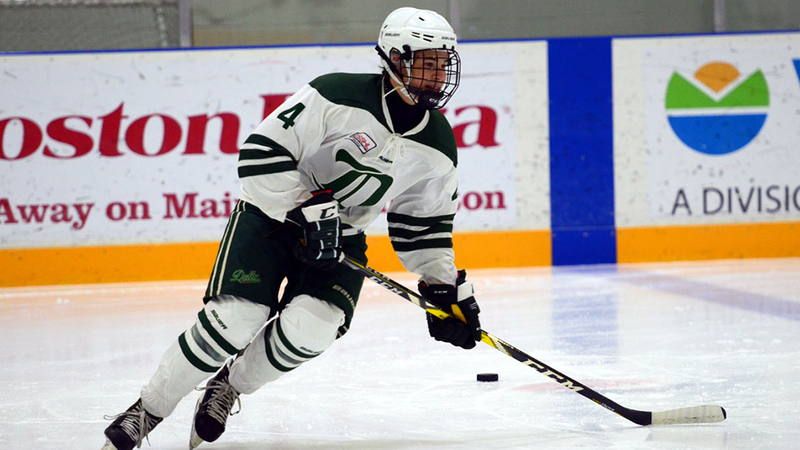 Prior to playing in the CSSHL, Smythe played for the Cloverdale Minor Hockey Association.